Backed by consistent efforts of our talented workforce, we have been able to provide our prestigious clients the ABB AC Drives Service Center. Moreover, this service is highly demanded for their reliability and on time completion. - We are service center for repairing of ABB AC drives. We are one of the leading National service providers and have many years experience in the field of Ac drives, Dc drives, servo motors, Servo Drives, PCB, PLCs & Industrial Electronic Repair & Maintenance. 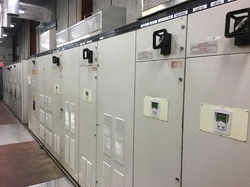 We specialize in the repair and maintenance services of all types of DC drives and Dc Motor Controllers for any major manufacturer’s equipment in all major industries.